As if you needed an excuse to get excited for spring and summer, here are two: flowers and butterflies. It just so happens that March 12 is Plant a Flower Day and March 14 is Learn about Butterflies Day. The fact that these are timed so close together is perfect, as butterflies and flowers go together like peanut butter and jelly. Between March and October, over 100 different butterflies can be found in Massachusetts, but not all at the same time. Mourning cloaks are seen mainly early spring, mid summer and fall; swallowtails are present late May to September; and monarchs June to October. Over 60 different insects, including monarch butterflies, need milkweed to complete their life cycle. These insects not only have adapted to potent chemicals in milkweed, but some use them to repel predators. Nothing blooms all season long, but by choosing plants that flower at different times you can attract a constant stream of butterflies. Want to learn more about butterflies? Check out Mass Audubon’s blog post on Five Common Summer Butterflies. 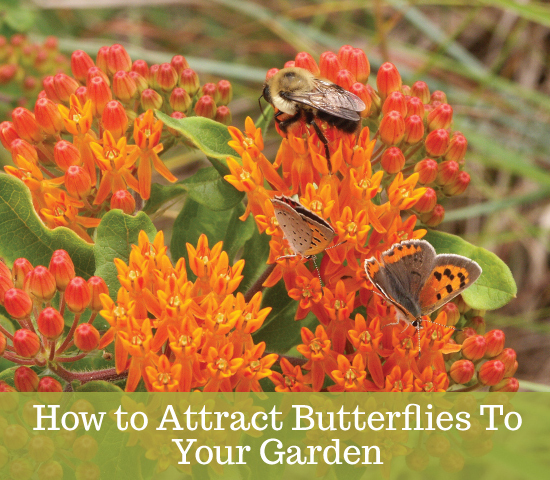 Pick up a handy, laminated pocket guide to Northeastern Butterflies and Butterfly Gardening. 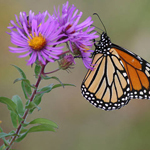 Explore the Butterfly Atlas to learn more about species in Massachusetts. Take a butterfly program at a wildlife sanctuary near you. Attend the annual Barbara J Walker Butterfly Festival at Broad Meadow Brook Wildlife Sanctuary in Worcester on August 9.